While we work throughout New London and Middlesex Counties, our focus is on Septic Systems in Essex, Old Saybrook, Old Lyme and towns nearby. As such, we’ve become experts on the Septic Regulations in our key focus towns. 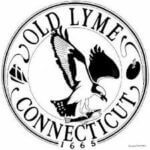 If you reside in Old Lyme, you will find the official Septic Regulations by clicking here.